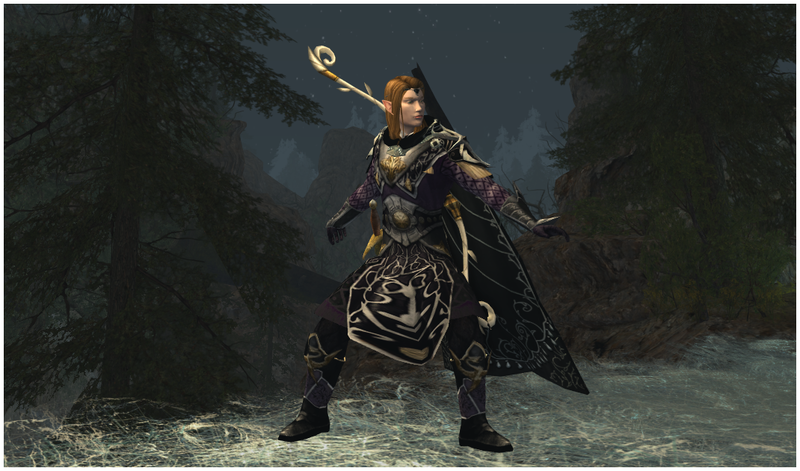 Having spent enough time working on Mordor dailies, I've been able to acquire some of the latest crafted armor recipes. By all rights, I should have had them sooner, but if you know me I'm a much of a housing nut as I am a cosmetic blogger. I've lavishly spent the majority of my Silver Signets of the Thandrim on housing decorations in recent months and have been able to create a Mordor-themed house. Usually, it's the other way around, but I had enough outfits lined up that I could afford a change of pace, take a temporary respite from outfitting, and focus on the visual weapons guide. That respite, unfortunately, wasn't much a of a respite after all. Mom had fallen and broken her ankle, which forced me to take a semi-hiatus from LOTRO until mid-May. I still logged in to screenshot a few weapons and at least say hello to my kinship, but I wasn't able to do much else while caring for her. Naturally, Stronghold of the North had just released just before her accident. I've been desperately trying to play catch up, focusing on content, while my blog quickly burned through everything I'd scheduled. I've gotten to a point where I've been able to shift my focus here again. 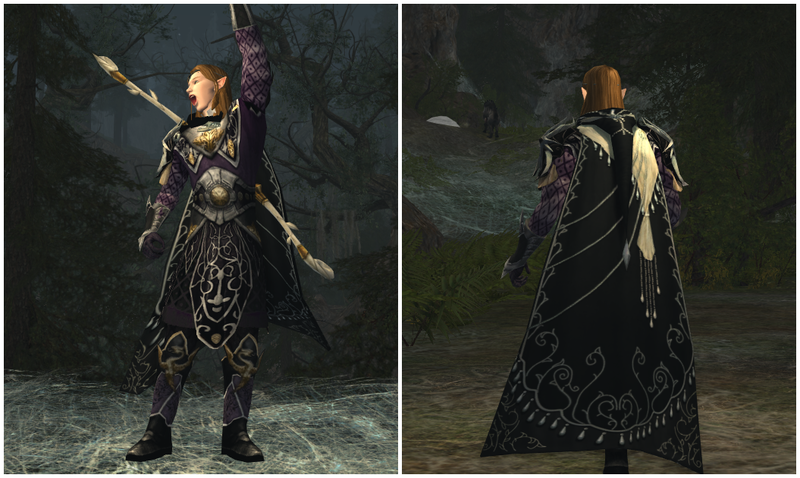 I had intended to screenshot this outfit somewhere in Eryn Lasgalen, after U22 released, but that didn't work as planned. I've decided to leave this photoshoot in Webs of the Scuttledells, the original setting. The natural lighting was somewhat poor when combined with the misty atmosphere. Thanks to the personal lantern, I was able to take some screenshots and make my Hunter feel like he was hunting at twilight, that otherworldly period between dusk and night. It was the best I could do at the time. 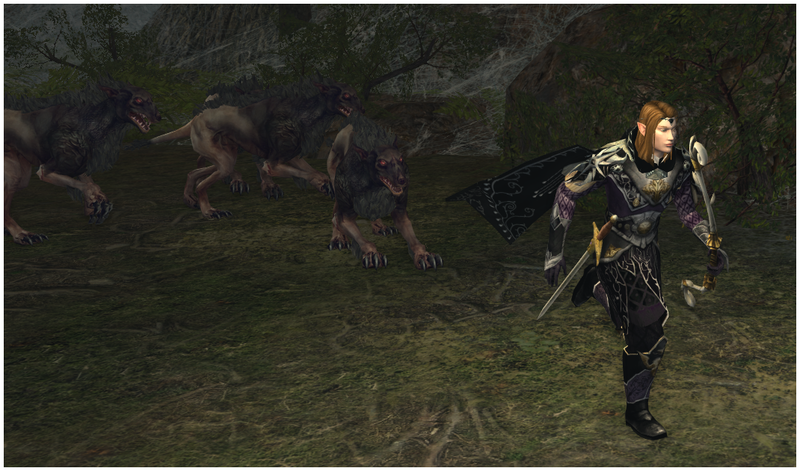 Who knows, I may retake these screenshots in Eryn Lasgalen someday! As a bonus, I thought I'd display this outfit how this outfit looked on the Race of Man, both male and female. 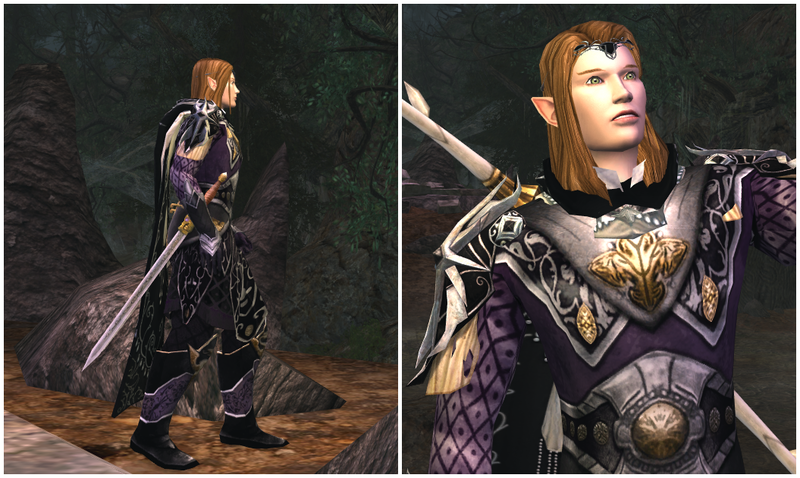 Believe it or not, I tried modeling this on several characters, settling on the male Elf. Due to how the chest piece sat on a given character's body, I felt that males wear the set better. 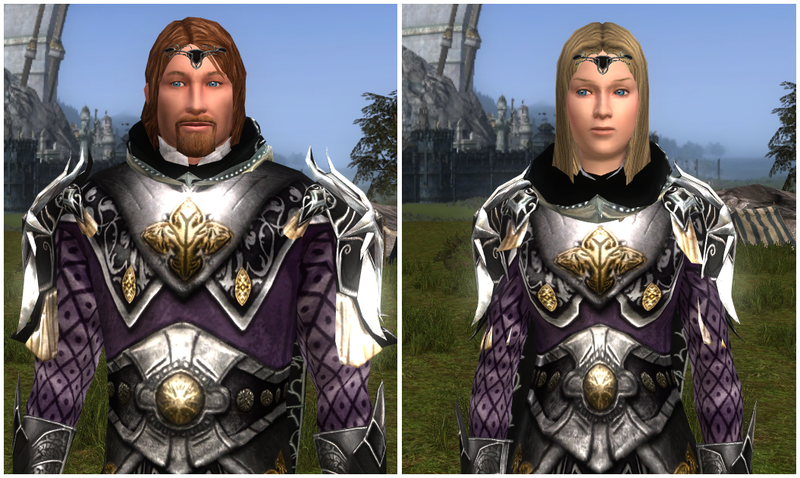 A male Elf will give you more of balanced, yet slimmer hourglass figure while Men will have a broader, bulkier build. It's continued to amaze me how significantly race affects the shape of certain pieces and which pieces clip more than others.